Prior to joining Goldberg Miller & Rubin, Brandon worked at a Montgomery County litigation firm as an associate defending health care providers against medical and dental malpractice actions in the Greater Philadelphia area. 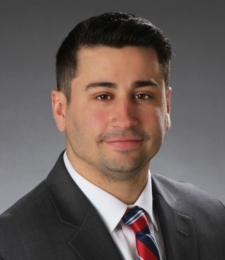 While receiving his juris doctor from Villanova University School of Law, Brandon interned with a personal injury law firm representing clients pursuing automotive and premises liability actions. When not practicing, Brandon enjoys his time golfing, exercising and spending time down the New Jersey shore. Brandon also enjoys attending Eagles, Flyers and Phillies games.